Jo Banham is Director of the Victorian Society Summer School and an independent curator and writer who specialises in the history of Wallpapers, William Morris, and 19th and 20th century interior design. 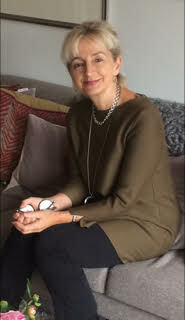 She has extensive experience of lecturing to adult groups and was formerly Head of Adult Programmes at the Victoria and Albert Museum, National Portrait Gallery, Tate Britain and the Royal Academy of Arts. She recently curated an exhibition on William Morris and the Arts and Crafts for Museums in Barcelona and Madrid, and is currently organising an exhibition on the Roaring twenties to open in 2020.